Both houses and workplaces have a tendency to get overcrowded, particularly with several family members or colleagues living and working in the same space. All too often, despite your best intentions to keep things tidy and maintain order, rooms start to feel unbearably cluttered and unorganised; which isn’t great when you’re trying to run a business or keep family-life running smoothly. If this sounds familiar, it may be time to take action and focus on creating more space in your living or work space. Self-storage provides one solution; and there are other proactive steps you can take to bring a little more organisation into your life, and put an end to the overwhelming chaos. If you’re keen to start solving your space issues as soon as possible, here are some great tips to help you get started. Be brutal, and throw things out. Taking unwanted furniture and other items to the tip or charity shop can feel extreme, particularly if you’re a natural hoarder. However, it’s a really effective way of creating space, ensuring that the items in your office or home are the things you really need, and that you’re not keeping anything superfluous to requirement. Rent a self-storage unit. Self-storage units are custom-designed for those who simply cannot bear to part with their precious items, but who want to benefit from more space. It’s easy to locate a self-storage facility in your area, after which, all you’ll need to do is load it up with your precious belongings and pay a small fee for the privilege. Most people agree it’s worth it, in terms of minimising clutter! Organise your life. If your office is overflowing with paperwork, or your home is filled to the brim with piles of books, DVDs and CDs, now is time to take control of the situation and get more organised. Invest in filing systems or shelving, and then dedicate some time to devising a system to help keep things in order. Make sure everyone is ‘in’. In order for any changes you make to be successful, you need to ensure that all your family members or colleagues are on board, and ready to get involved. If you need help getting belongings to the self-storage unit, ask someone to give you a hand. Likewise, if you spend time developing a more organised system, make sure everyone is aware and knows how to maintain it. Use space cleverly. Often, rooms that feel cramped are hindered by poorly arranged furniture. For example, placing a sofa in the middle of a room will quite literally cut the room in half, creating the illusion of less space. Likewise, if you invest in office desks that are too large, these will take up a lot of floor-space, without offering much in return. If you’re frustrated with living in cluttered conditions and want to make a change today, simply get in touch with GTW. We’ve offer competitive prices for people desperately seeking storage solutions, and practical ideas to help you to enjoy more space in your home or office. 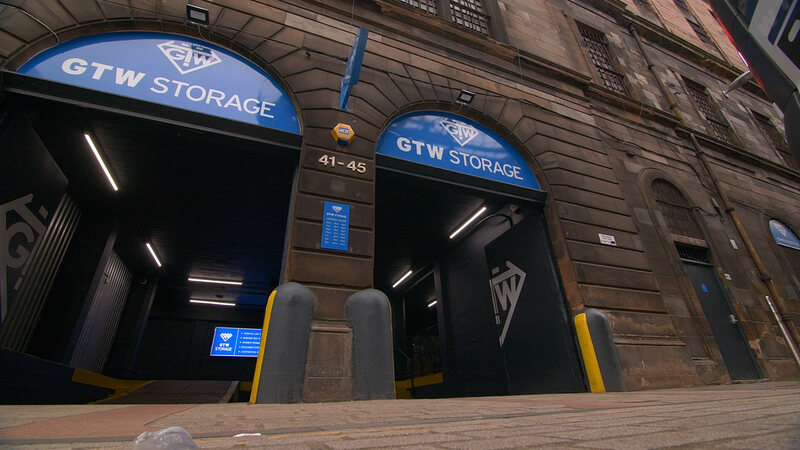 To have an informal chat about our range of storage options, simply call the team on 0141 221 4727.